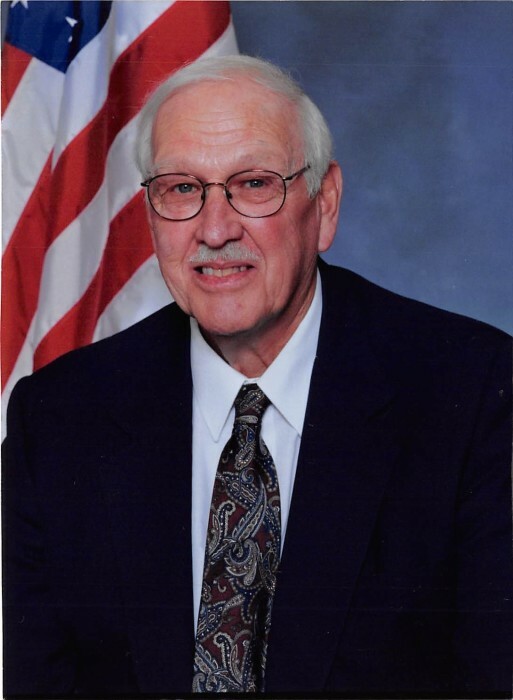 Elmer Donald Willms, 89, of Grundy Center, formerly of Dike, Iowa, passed away on Friday, November 16, 2018 at Creekside in Grundy Center. Visitation will be held on Tuesday, November 20, 2018 at the Liberty Baptist Church in Dike, Iowa from 10:00 a.m. until time of the funeral service at 11:00 a.m. Burial will be held privately at Elmwood Cemetery in Dike, Iowa. In lieu of flowers memorials may be directed to the family, who will then donate to a charity of their choice. Elmer was born on November 12, 1929 on a farm in Black Hawk County, Iowa, to his parents William & Grace (Muller) Willms. He attended rural schools and graduated from Dike High School in the class of 1950. On April 20, 1956 he was united in marriage to Darlene Weseman at the Bethany Presbyterian Church in Grundy Center, Iowa. He was the owner and operator of Willms Trucking. He enjoyed his career and served the Dike area for 37 years. Elmer was a Grundy County Supervisor for 16 years where he represented District #3. Elmer was a member of the First Baptist Church in Reinbeck for over 30 years. There he served the church as a deacon, Sunday school teacher and in various other capacities. The last years he was a member of the Liberty Baptist Church in Dike. Elmer was an avid sports fan and loved the Iowa Hawkeyes. He had a special place in his heart for the disabled and served on boards representing them. He loved to visit with friends and family and his true joy in life came from being a devoted husband, father & grandfather to his family and serving God. Elmer is survived by his wife Darlene Willms of Grundy Center, Iowa; daughters Marcia Willms of Grundy Center, Iowa & Lori Welsh of Deptford, New Jersey; son Tim (Sharon) Willms of Loveland, Colorado; grandchildren Danielle Willms, Catherine (Kurtis) Schultz & Rachel Willms (fiancé Luke Vaporis); sister Darlene (Charles) Smoldt; brothers Don (JoAnn) Willms & Dean (Mary) Willms; sisters-in-law Virginia Willms & Gloria Willms; and many nieces and nephews. He was preceded in death by his parents; infant daughter Marcyne Willms; infant grandson Joseph Willms; son-in-law Michael Welsh; brothers Edd Willms & Jim Willms.